Are you planning a feast or an animal-friendly event, but you don’t want to spend so much time in the kitchen? - a catering service might be a good option to take into consideration then. The UK catering service “Cashew” offers sustainable, plant based, and healthy foods for any occasion. We´ve asked the proprietor John Bayley about their cooking secrets, mouthwatering dishes, and experiences they´ve made as a compassionate catering service. 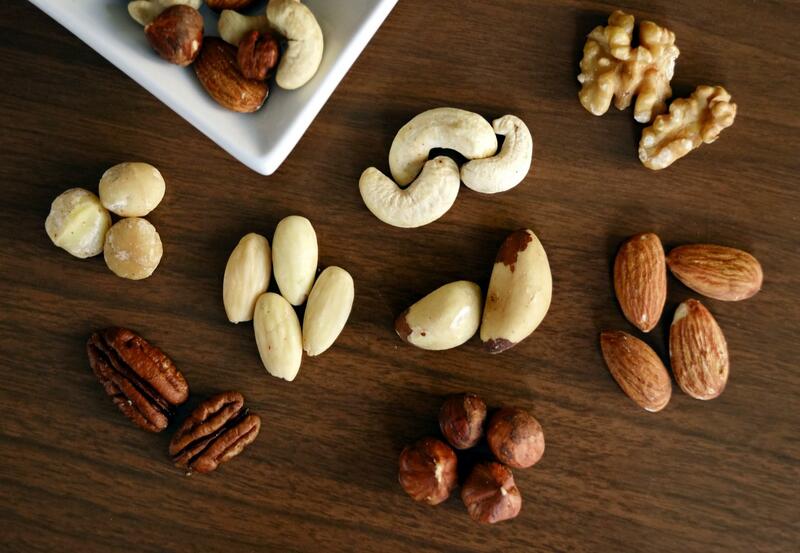 Cashews are both healthy and versatile. It sounds like the perfect reflection of your catering service! How did you come up with the name ‘Cashew’? We came up with the name because of the various preparations that can be made with cashew, like ice cream, cream, cheeses, cheesecakes, etc. plus it worked well with the word catering. Where and how do you source your ingredients for the dishes you prepare? We use a local firm called Fin and Farm for most of our fresh foods, who link together many small scale local producers, so we can easily source local produce when possible. We also use Infinity Foods for most of our ambient and dry/staple foods. We use a variety of local suppliers and sometimes supermarkets for all the other bits and pieces! What is your secret in balancing your creativity, with taste, and never run out of ideas? I think it’s fair to say that most chefs run out of ideas from time to time – so I’d be lying if I said I didn’t! However, we are definitely bombarded with ideas, flavors, ingredients and far away tastes – so (to be fair) it’s fairly easy nowadays to pick up a magazine, walk into a shop and find something you haven’t really used before and create something new! How do you think people can become more aware of animal welfare issues through their food choices? Are there any underlying messages Cashew represents and stands for? I think people should become more aware of animal welfare and how the foods they consume are produced, and then base their food choices on this! Cashew tries to make meat free food as accessible and fun as possible, so that when anyone tries it, whether they are veggie, vegan or a ‘staunch’ meat eater they enjoy what they try! The pictures on your website are truly mouth-watering! Have there been any funny incidents or disasters at one of the events which you could share with us? Hhhmmm, well if I must share – I did once make this pretty awful chocolate and bergamot mousse. It could have worked, but I specifically got the texture very wrong and had to serve it to a small group of ladies at a yoga retreat. The FOH manager (Front of House Manager) asked one of the ladies how the yurt they had done the yoga in was, and the woman replied ‘awful’, to which the member of staff questioned ‘Really, what was wrong with the yurt, we had the heating on and it was such a lovely evening I thought?’, to which the guest replied ‘OOOWWW yurt – I thought you said “dessert”’ ……OUCH!!! What are some of your “can´t live without“ ingredients? Cashews!!!!!!!!!! Chocolate, coconut and garlic. Do you have any tips that you could share with our readers who want to plan a compassionate event?